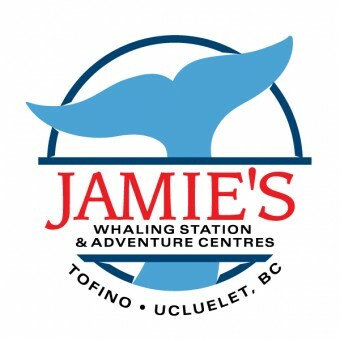 Tofino is a village of about 1,650 residents on the west coast of Vancouver Island, in British Columbia, Canada, located at the western terminus of Highway 4, on the tip of the Esowista Peninsula, at the southern edge of Clayoquot Sound. 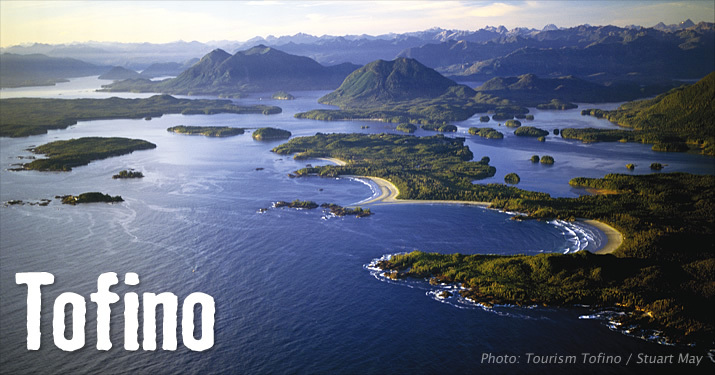 A popular destination for visitors in the summer, Tofino's population swells to many times its winter size. 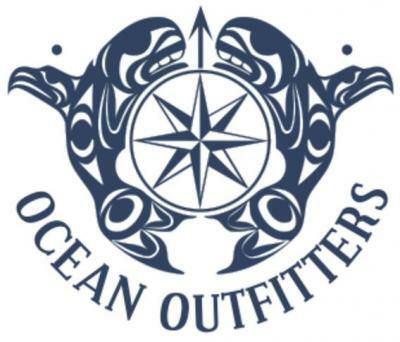 It attracts surfers, nature lovers, campers, whale watchers, fishermen, or anyone just looking to be close to nature. In the winter it is not as bustling, however, many people visit Tofino and the west coast to watch storms along the many miles of stretching sandy beaches. Nuu-chah-nulth First Nations People have made Clayoquot Sound their home for several thousand years. The Tla-o-qui-aht Village of Opitsaht (across the water from Tofino on Meares Island) is thought to have been continuously inhabited for at least the past 5,000 years according to carbon dating performed on a buried stash of discarded clamshells there. During the European exploration of Vancouver Island by Captains Galiano and Valdez, the site of Tofino was named in 1792 after a Spanish hydrographer that accompanied the expedition. His name was Don Vincente Tofino and he came from Cadiz, Spain. As “recently” as 1875, Captain Pinney established a trading post on Clayoquot Island just across the water to your left (when standing on the First Street Dock). Tofino homesteaders eventually shifted from the island to the peninsula after the turn of the century where it could grow inside bigger bounds. The Anglican Church (still standing, Second Street and Main) was built in 1913 after the Church of England provided funds and instruction for a church to be built on the most beautiful spot on Vancouver Island. Understandably, Tofino was chosen. Earning the nickname "Tough City" for its long, rainy & tempest winters, Tofino was primarily a maritime trading town until the 1950's when a logging road was punched through the mountains between Port Alberni and the coast. Early tourists, eager to reach the ocean, were only permitted to use the logging road on the weekends when loggers had days off and from this our tourism industry began to grow. That same road, now paved since 1972, is Canada’s only paved road to the open Pacific Ocean with Tofino marking the official western terminus of the Trans Canada Highway at the First Street Dock. 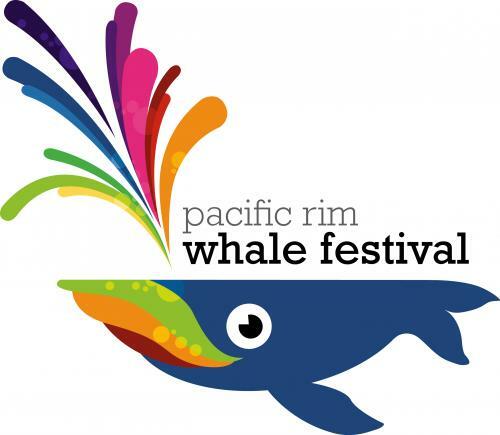 In 1971, Pacific Rim National Park was created. In 1984, Meares Island was declared a Tribal Park by the Nuu-chah-nulth after successfully winning a legal injunction against logging companies who wanted the island clearcut logged. In 1993, after a contentious summer in the woods where nearly 1000 activists protesting the practice of clearcut logging were arrested at Kennedy Lake just south of Tofino (the largest mass arrest in Canadian History) Clayoquot Sound took its place, center spotlight, on the world environmental stage. 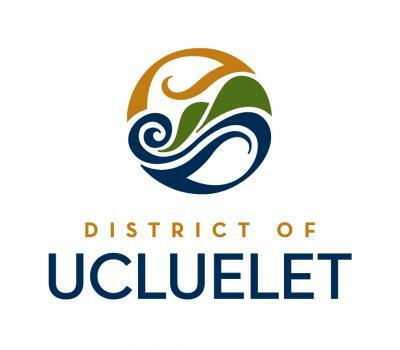 The recognition of Clayoquot Sound by the United Nations as an exemplary World Biosphere Reserve, (January 2000) is the most recent of several distinctions for which the 1500 residents of Tofino and the other communities in Clayoquot Sound are gushingly proud. It is a tremendous debt we owe the Nuu-Chah-Nulth People for taking such great care of Clayoquot Sound for over 5,000 years and to the environmental pioneers from Tofino and around the world that had (and continue to have) the courage, the vision and the guts to defend the remarkable, pristine wilderness that is Clayoquot Sound. Today, Tofino is Tourism. Not only do 20,000 grey whales and several hundred thousand shorebirds visit during their migrations twice each year but Clayoquot Sound experiences between 750,000 and a million human visitors annually. Obviously environmental treasures this unique and accessible aren’t found in many places in the world and each of us living here recognizes that our challenge is to keep our natural environment pristine. Tofino takes preservation of the environment hyper-seriously and is affectionately, if not officially, known as the Tree Loving Capital of the World. In 2001-02 Tofino bent over backwards to save an 800 year old tree in its downtown core. The new preservation project underfoot (literally) is the creation of the Lighthouse Trail, which will take hikers from Tonquin Park all the way along the outer coast to the sandy beaches that we love so dearly. History here, is found in First Nations storytelling, in a few old buildings, in overgrown cemeteries, in forests of trees and at the bottom of ocean channels. Since the retreat of the glaciers some 10,000 years ago, Clayoquot Sound really hasn’t changed much which is to the credit of all generations past, present and with education, diligence and hope, —future.